Why is a Christian Seder necessary? Exodus 12:14 states, "So this day shall be to you a memorial; and you shall keep it as a feast by an everlasting ordinance." Certainly, the Torah is highly significant to Jews, and the Feast of Unleavened Bread applies directly to the children of Israel, beginning on the night that began their journey from Egypt to the Promised Land. Yet the Old Testament is also significant to Christians. While many Christians focus more on the New Testament, we also understand that the Old Testament is the New Testament concealed while the New Testament is the Old Testament revealed. It all points to Jesus, including the ceremony of the Seder at Passover. 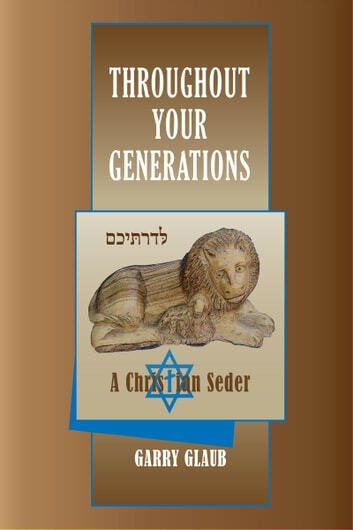 Jesus is in every aspect, and "Throughout Your Generations" explains that, while giving explicit instructions in how to lead a Christian Seder of your own. 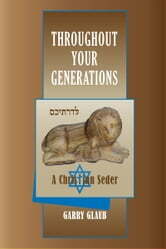 This includes a Haggadah, an explanation of each part of the Seder and a step-by-step process of how to proceed. It is certainly a Seder for dummies, and for geniuses, too.